An investment of €15 million will see Zeus’ Dublin presence double in size to 250,000 sq ft, with the creation of 50 new jobs. 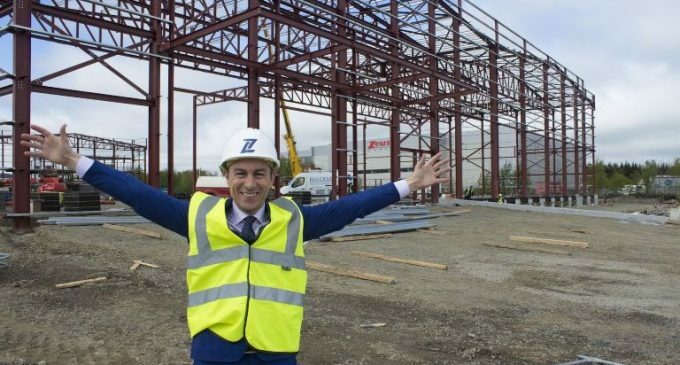 Zeus is investing a further €12 million in their new 100,000 sq ft premises in Bedfordshire, England, which will create 30 new jobs. Zeus employs 150 in Ireland, and 300 in total across 13 countries worldwide. In operation for 20 years, Zeus has also just opened their first Canadian site. In 2017, the group’s turnover was €135 million, and turnover is expected to increase to €150 million in 2018. Zeus has grown at a rate of 7 to 10 % per annum for the last 5 years. Brian O’Sullivan (pictured), Managing Director of Zeus, commented: “At Zeus, we are continually innovating, creating and driving comprehensive solutions that deliver for our clients, who have increasingly complex needs. It is this commitment to quality that has driven our recent growth, both in Ireland and internationally. Zeus is a leading global packaging solutions company, with a strong focus on sustainability and innovation. They provide a diverse range of products and supply solutions into a wide variety of markets. Zeus has offices worldwide, including Ireland, UK, Germany, Spain, Poland, New Zealand, Canada, China and Australia.